The Festival season is kicking off tomorrow with Meadowlands and we have to say it is perfect timing. Its a funfair for people who don’t want to age: like Peter Pan, they want to have an adventure in their very own Neverland. So the pilgrimage starts again and we’re ready to lose ourselves in the middle of nowhere; got all the equipment: tents, sleeping bags, rain boots, waterproof jackets and friends. We’re ready to go! 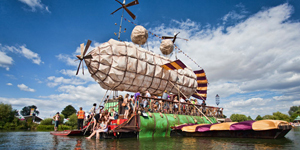 Here 6 of the best music and arts festival that the south of England can offer to you. They bring you a festival full of love and surprises. A festival that stretches waaaaay beyond music, where weirdness and wonder mix with the comfort of hot showers and a British pub (yes, they have their own pub). With sounds, theatre, art displays, hot tubs and creative workshops they promise to bring you the most amazing show and value for your festival pound. Line-up: Fink, Jessie Ware, Ghostpoet, Phenomenal Handclap Band, Norman Jay, The Do, Jono McCleery. 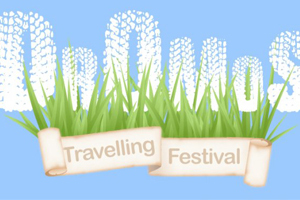 Dromos Festival will be popping up again across West Sussex in July 2012! With an eclectic mix of theatre, dance, music, street performance and workshops there will be something for the whole family to enjoy! Join them at Church Farm, Coombes on Sunday July 15th and Horsham Park on Saturday 21st July between 12-5pm. Art & Expression Theme 2012: ‘STANDING ON CEREMONY’. This year, as The Garden celebrates her 10th Birthday, they explore those ceremonies, rituals, initiations, anniversaries and carnivals that bind them together, that emphasises matter over mind, that emphasises their true gifts as humans: social existence. The Secret Garden Party, along with all modern hedonistic gatherings, has direct links to this awakening and release of the human spirit. So get your thinking caps on. Dream your own anniversaries, your own ceremonies, your own initiations. Some believe that the year 2012 marks the dawn of a new era of human civilisation. Others are convinced that it signifies the end of the earth at the hand of some inconceivable catastrophe. While some still have confidence that life as we know it will continue to thrive and blossom in all its glory. The residents of Boomtown however are beginning to doubt the latter. Boomtown itself is thriving as never before, with its residents swelling in such numbers that they threaten to burst through the seams of township. 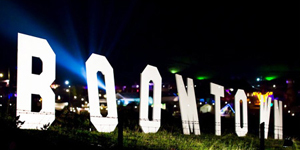 At the present rate city status will most likely be attained before 2012 is out – that is if we survive the year at all… and recent goings-on’s in and around Boomtown have thrown this matter into question. The festival season had now arrived to the end. It’s the time for autumn to blow away the summer and there’s no better place to celebrate the Autumn Equinox than the New Moon in a beautiful field in the wield beside the Sussex Downs. It’s a celebration of life described through the medium of arts, brought to you by an enthralling program of local, national and international musiscians, theatrical performance, circus, cabaret, film and much more. 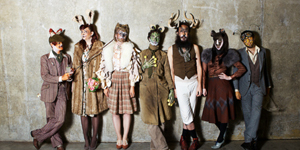 This year’s Playgroup Festival is scheduled to take place from 21-23 September and promises to create a parallel society that exists far outside the reach of daily life in Brighton. 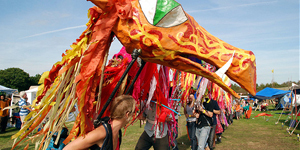 In particular, the festival will actually take place in rural grasslands near Tunbridge Wells in Kent and will incorporate every type of art including theatre, music, cinema, workshops, installation art, cabaret, and plenty of chances for interaction. We will keep you posted with the line-up changes.